APT is proud to announce a new partnership with the U.S. Soccer Foundation. Many urban areas across the country lack both space and a safe environment for children to play outside. 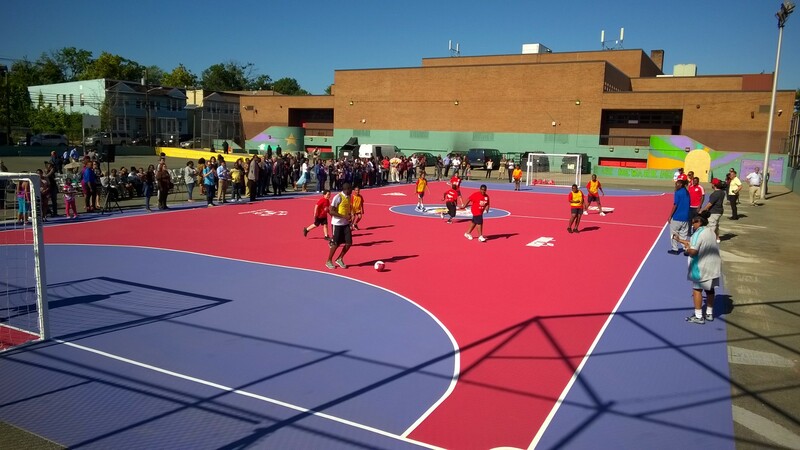 The U.S. Soccer Foundation provides grants to organizations to help them build or enhance field space within their communities. To date, the foundation has helped to create over 1,100 safe places for children nationwide. APT (Advanced Polymer Technology ) has teamed up with the U.S. Soccer Foundation to help build on this momentum. Over the next five years, APT’s Laykold Masters acrylic surfacing system will be the official surface of an estimated 500 mini-pitches to be constructed nationwide. Laykold Masters partner, Ace Surfaces of Altamonte Springs FL, has been an instrumental part in bringing APT and U.S. Soccer Foundation together and will facilitate the construction of this nationwide project. 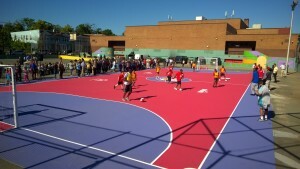 APT is a global leader in high performance sports surfaces. From Olympic stadiums to your own backyard, APT provides people around the world with safe, reliable, performance enhancing surfaces. For more information on APT’s Laykold Masters, please click here. The U.S. Soccer Foundation serves as the major charitable arm of soccer in the United States. The Foundation is a leader in sports-based youth development and is using soccer as a vehicle for social change among youth in urban areas. For more information about the U.S. Soccer Foundation and the various programs that they offer, please visit www.ussoccerfoundation.org .